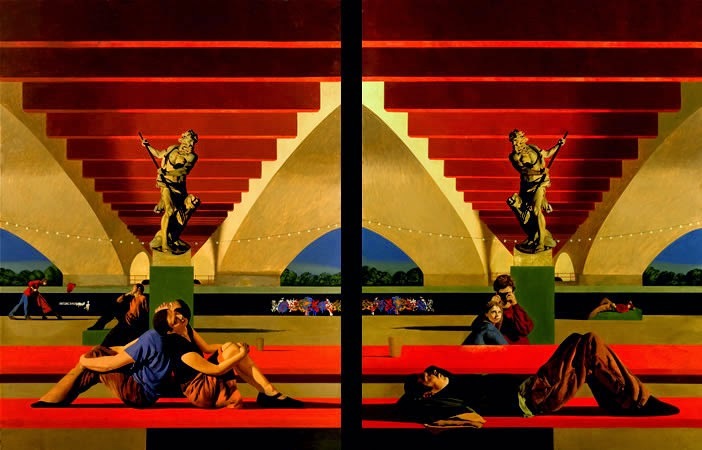 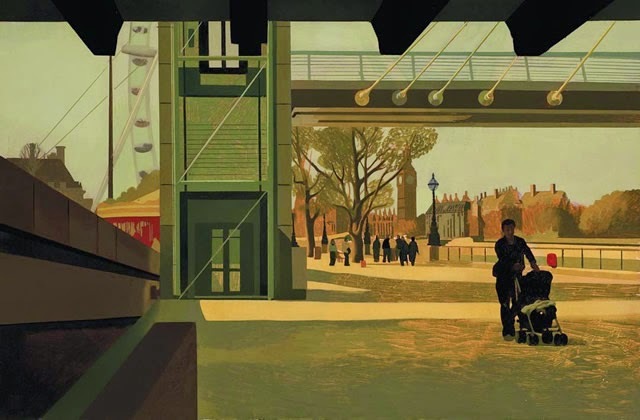 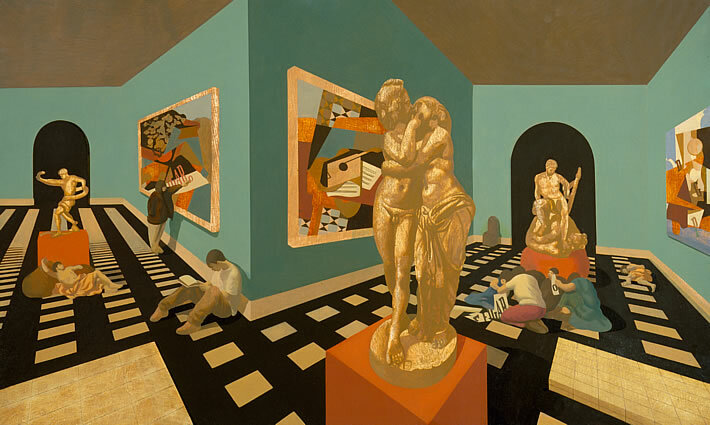 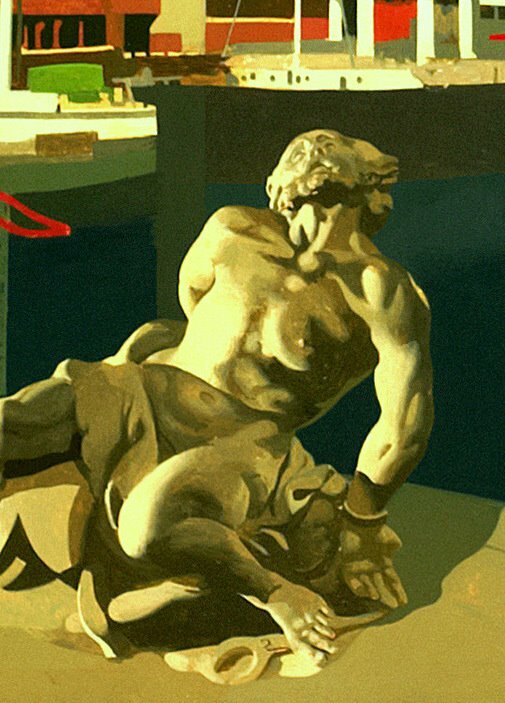 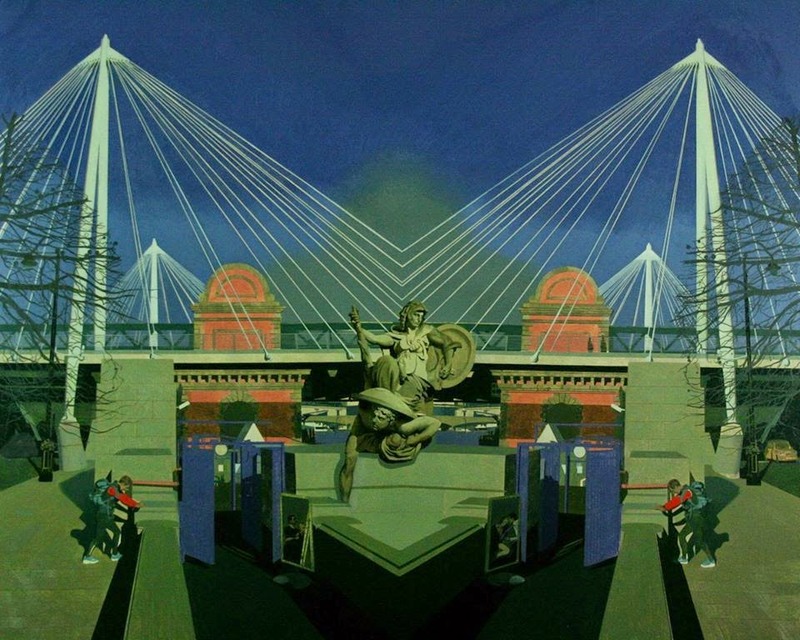 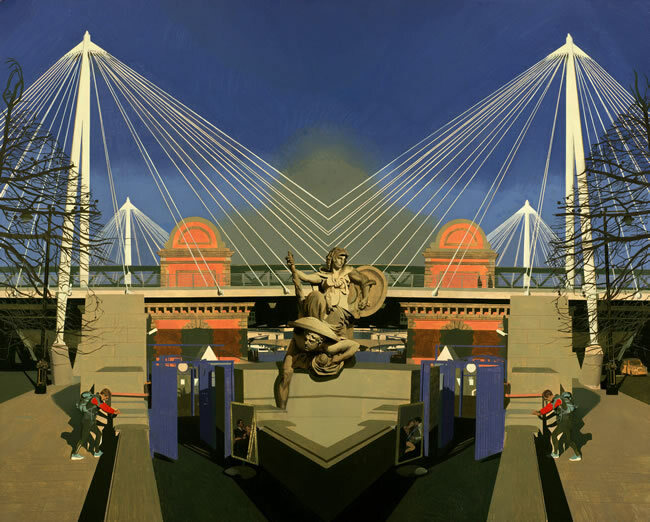 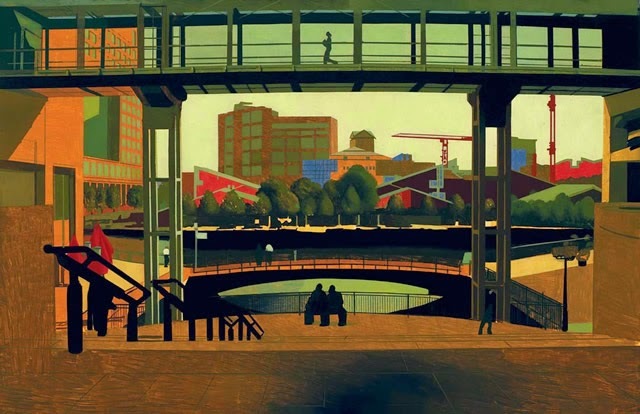 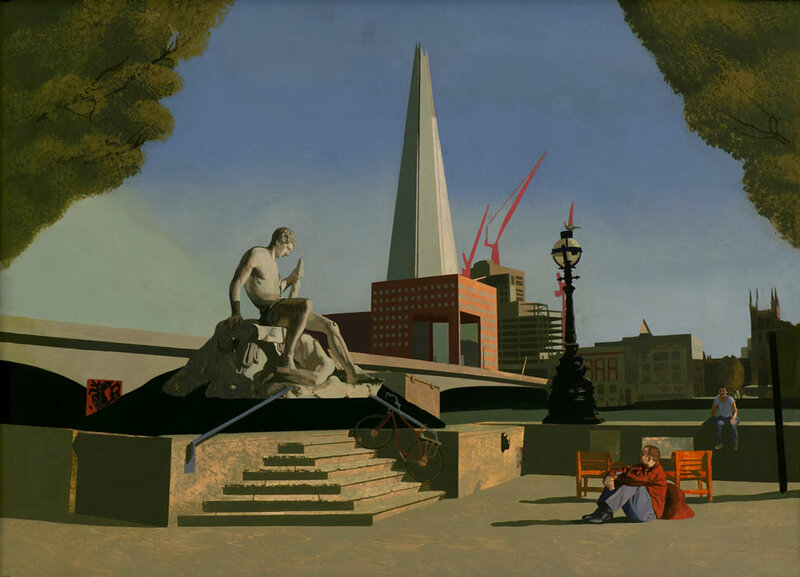 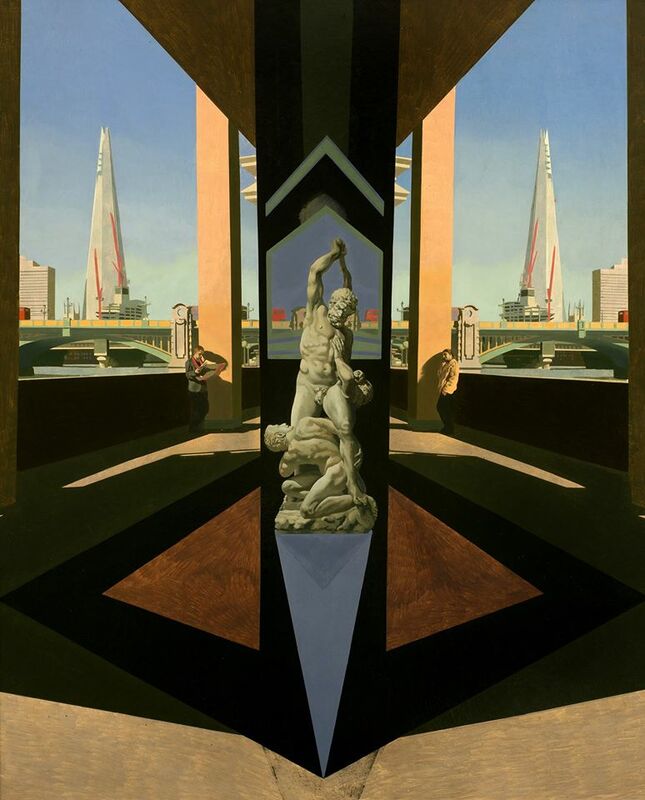 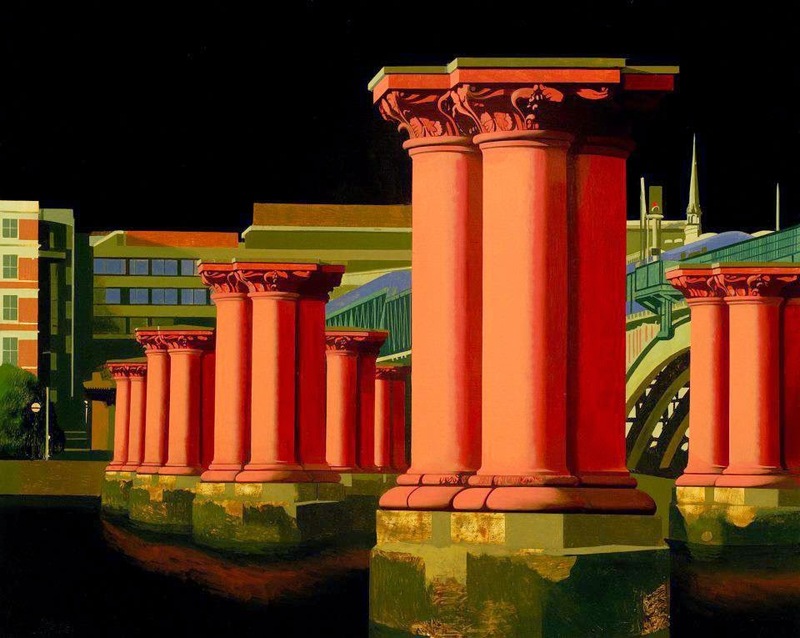 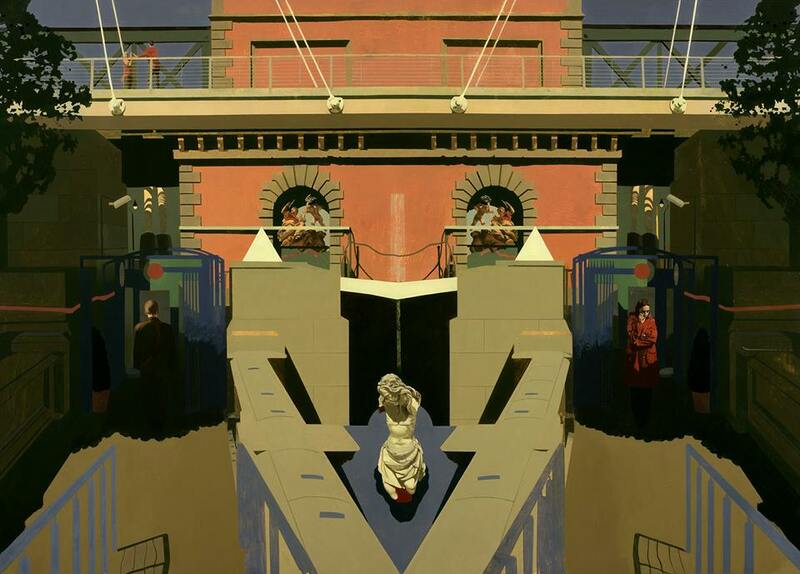 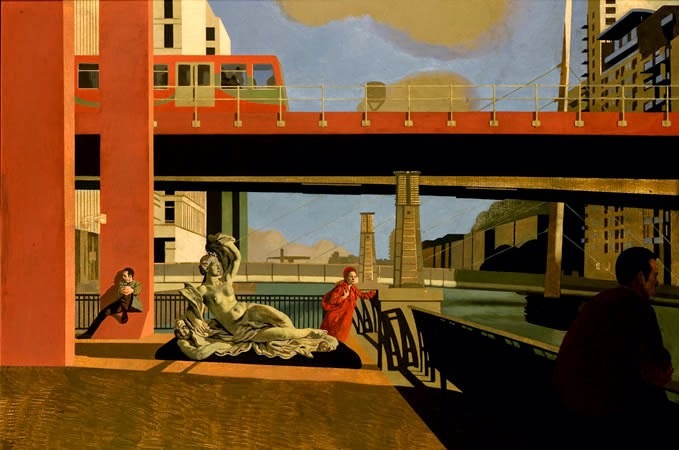 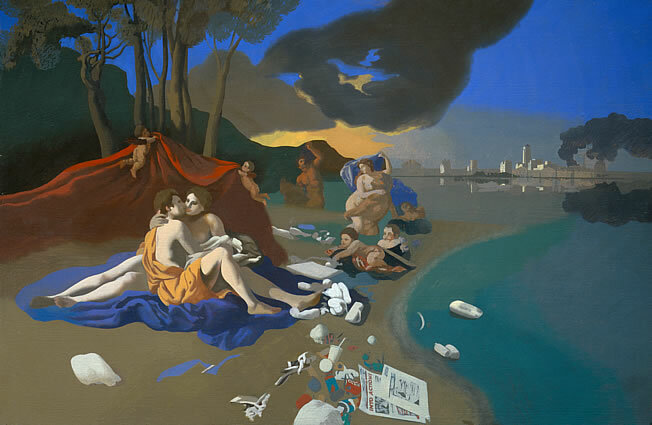 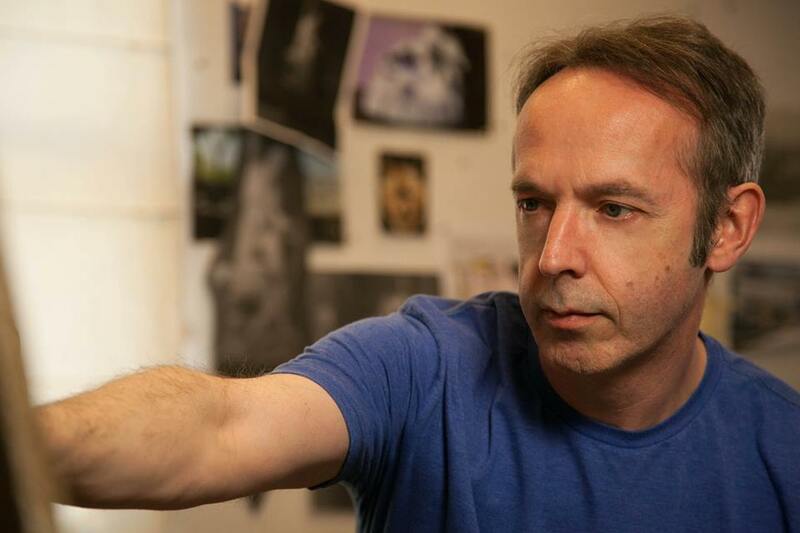 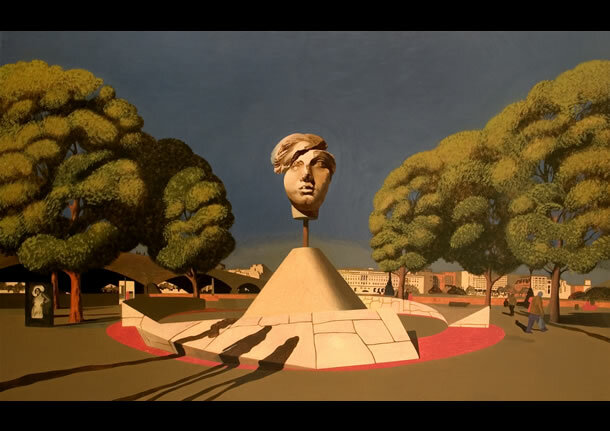 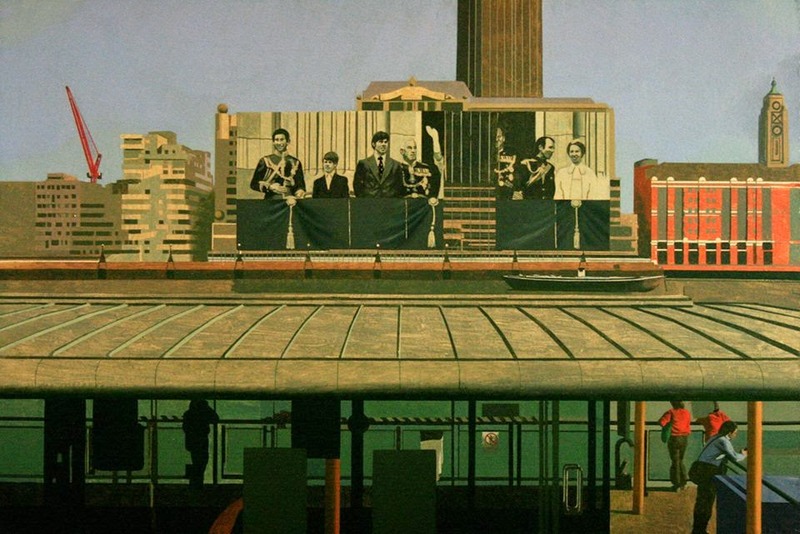 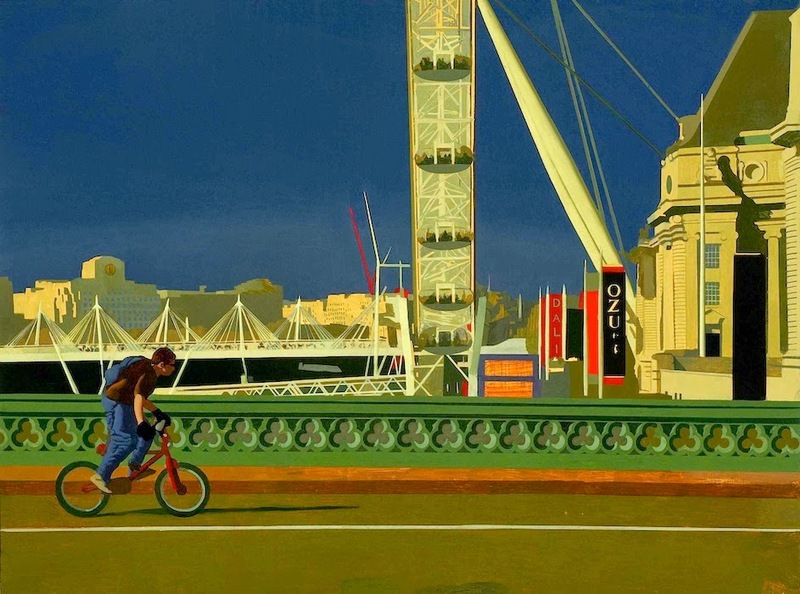 David Piddock has shown in an extensive number of exhibitions across England including: 'Focus on Drawing', Museum of Modern Art in Oxford, the Spectator Open at Christie's, The Gallery in Cork Street, the 'Gallery Fiction' at The Fine Art Society, London, and 'New Acquisitions' at The Museum of London. 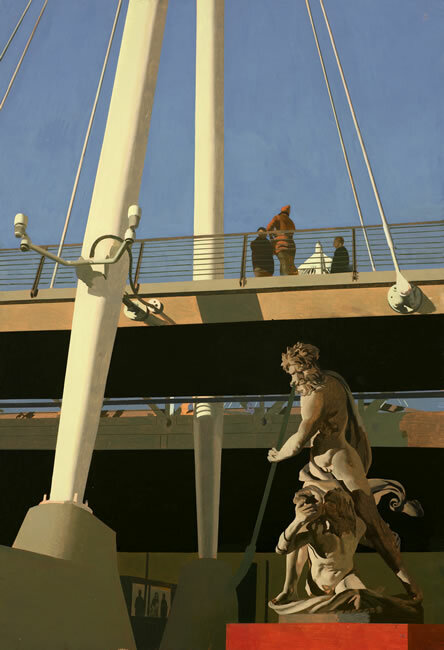 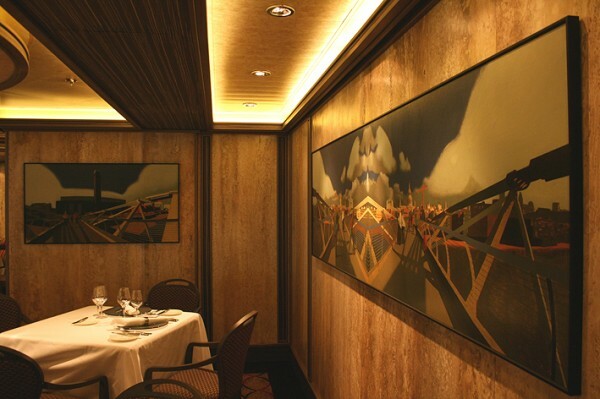 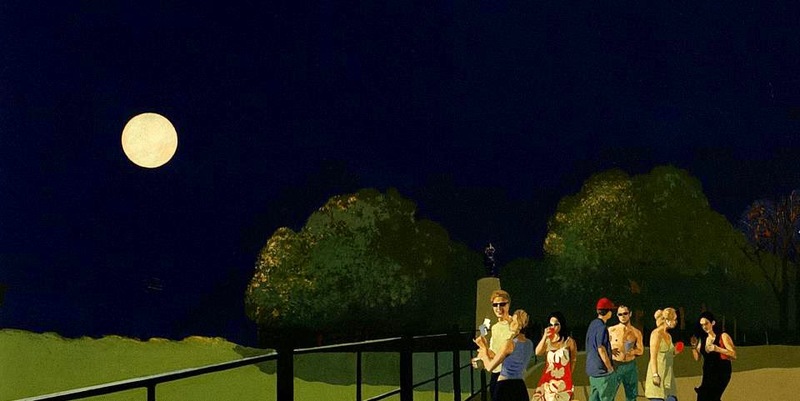 Piddock has also exhibited internationally in Centro Modigliani, Florence and Palm Beach Contemporary Art Fair, USA. 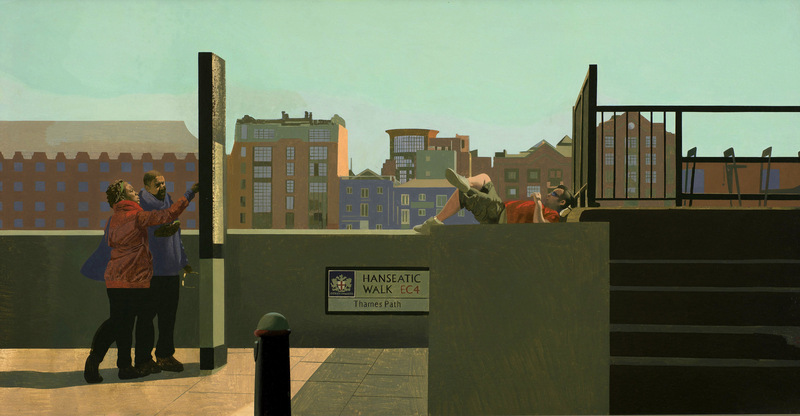 His most recent achievement is prize-winner in the latest Lynn/Painter Stainers award. 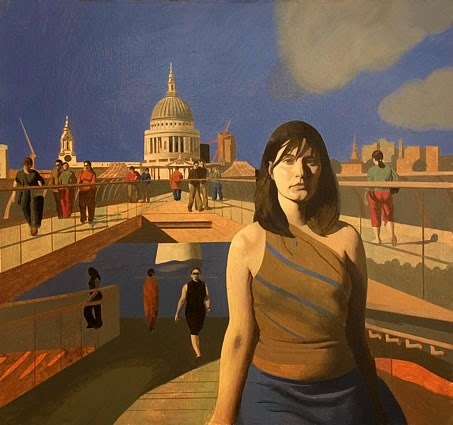 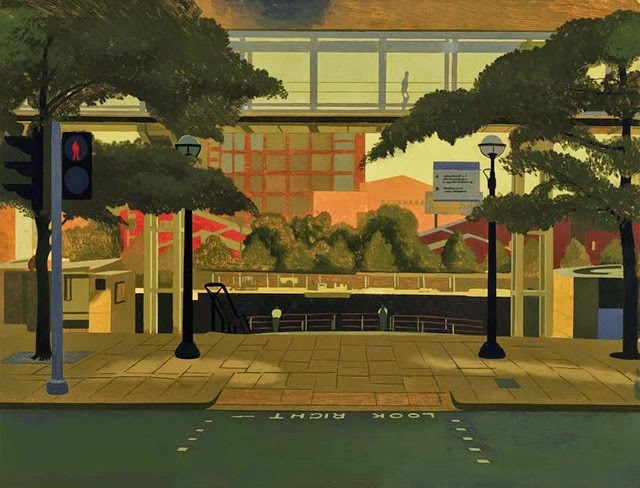 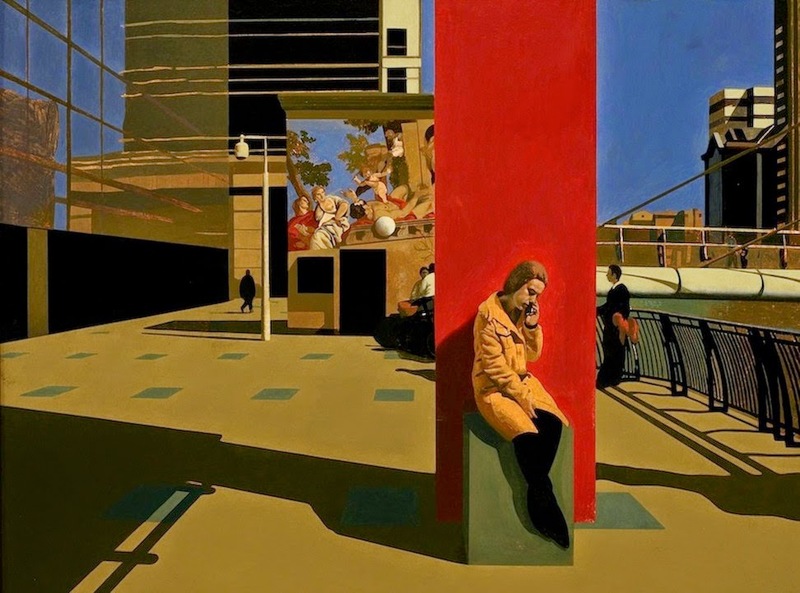 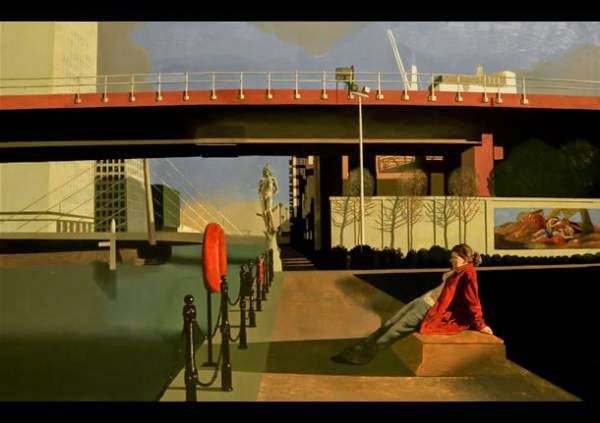 In these paintings, Piddock depicts a landscape inhabited by people absorbed in their own private worlds, their inner lives seemingly reflected by their surroundings. 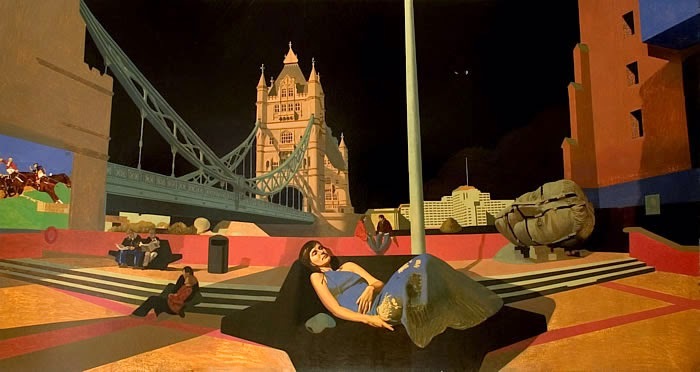 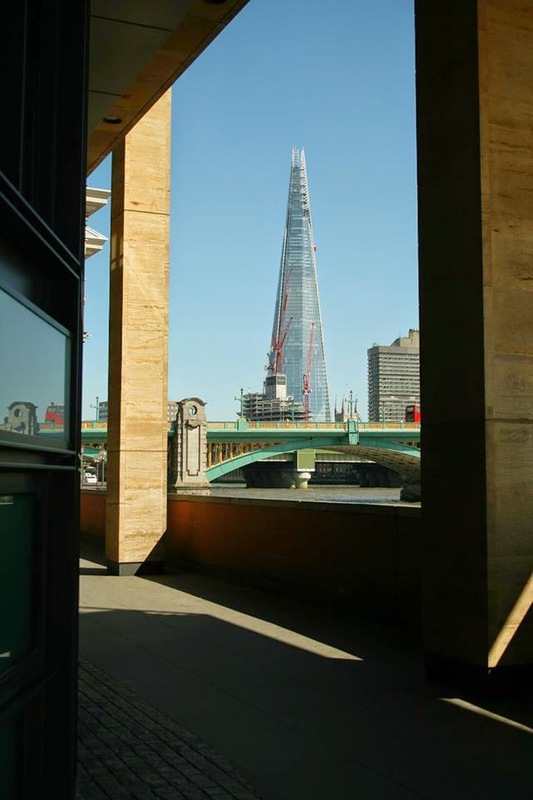 This is recognisably London but it's a half-fictional city, suspended somewhere between night and day, dream and consciousness. 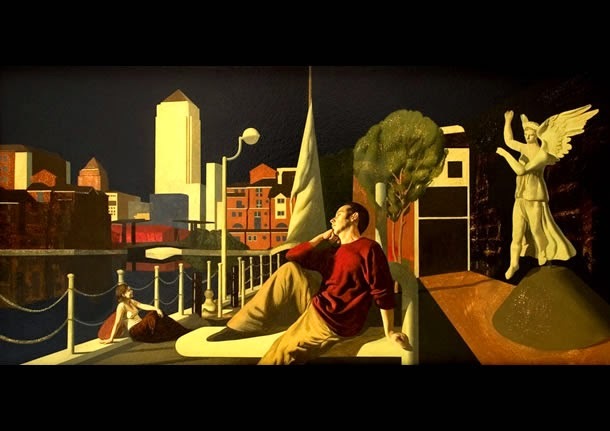 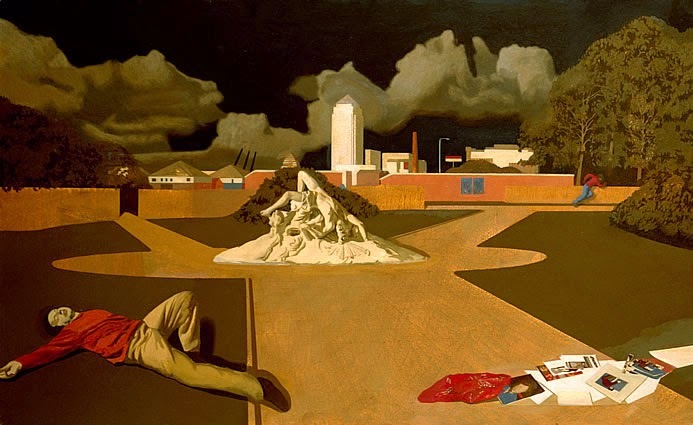 John Russell Taylor has described the work as Magic Realism, a term used to describe a genre of literature with a supernatural dimension (often darkly comic) dealing with themes such as love, grief and obsession.